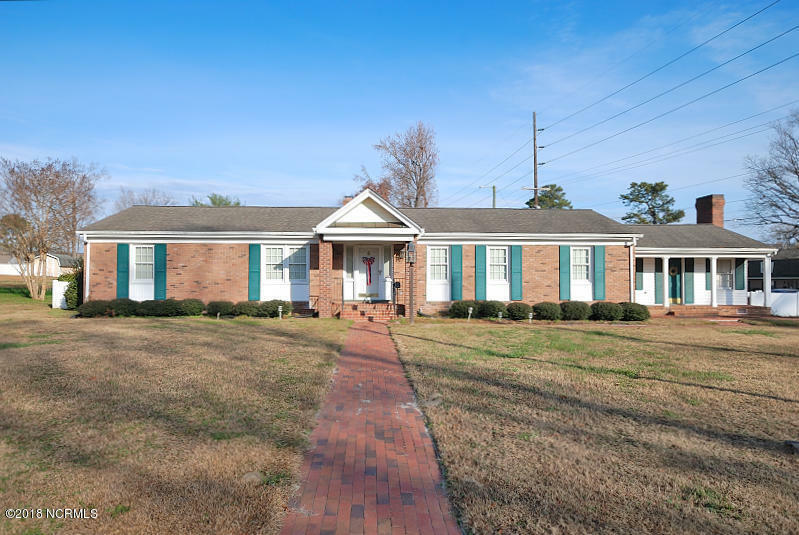 Brick ranch on large corner lot. Spacious foyer, formal living and dining rm. Remodeled kitchen 10-15 yrs ago with new cabinets. den with fireplace . Three bedrooms two baths. Has large bonus rm. with fireplace that needs a little attention. Awesome 988 sq.ft. workshop that has heat and air. Floored attic. 10 x 12 storage bld.Home is being SOLD AS IS!